Are you worried that you can't wear contact lenses? You will be glad to know that we carry high oxygen high performance lenses even for individuals with astigmatism. We carry water loving contact lenses for individuals with dry eye. Do you feel you are too young for bifocals? If you are having trouble reading small type on your computer or smart phone, you are not alone. We have contact lenses that can correct this- without bifocals or reading glasses. You get the benefit of our 24 years of experience when you trust your family eye care to Quality Vision Center of Jackson. 1. The eyes do not see. The brain sees. 2. Only 1/6 of the human eyeball is exposed. 3. 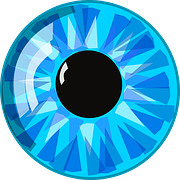 Corneas are the only tissues that do not have blood. 4. 80 percent of vision problems are avoidable or even curable. 5. An eye cannot be transplanted. More than a million nerve fibers connect the eye to the brain and those connections cannot be reproduced.